A few months back, I delcared 2018 my year of momentum. And now that I’ve reached the half-way point I can definitely say that this year is indeed shaping up to be one of momentous change. On the work front, I continue to write for many of the same clients who have kept me busy since 2004. I’ve also forged new connections that are stretching my writing skills and expanding my accumulation of random knowledge. I still love my job and feel grateful to work with such a wide range of interesting people who seem to genuinely appreciate my way with words. Since January, I’ve had the opportunity to do two speaking engagements. And I just rented a desk in a funky co-working space where I plan to finally get to work on a book project that’s been percolating for the past few years. A funky wall for a funky co-working space. I’m now confident that I made the right decision to focus on growing my freelance business rather than trying to enter the traditional work world when my marriage fell apart almost two years ago. On the personal front, I’ve experienced the love and support of family and friends – both old and new. I’ve had the pleasure of being able to open up my home and feel that I am starting to build a community of people who care. I’ve also started to take better care of my physical, mental, and spiritual health. For me, that includes finally having the courage to take time away from the office. As a life-long freelancer, not working can feel scary. Unlike a salaried worker who can occasionally get away with daydreaming on the job, if I’m not producing, I’m not being paid. In the past, I’ve always brought projects along with me whether I was traveling overseas or just to the (former) family cottage. Over the last 14 years, there has rarely been a day that didn’t include some sort of research or writing. That stopped this year, when I made a commitment to myself to take one week off in June, July and August. Last month, I took advantage of a child-free week and flew to New York. I was joined by a friend and we spent five days exploring. We went gallery hopping – the Guggenheim, Neue Galerie, MoMA, Cooper Hewitt, New Museum , – stumbled upon a Damien Hirst exhibition in Chelsea, and I discovered my new favourite perfume which was kindly shipped back to Canada since the bottle was too large for hand luggage. And then – the beach! 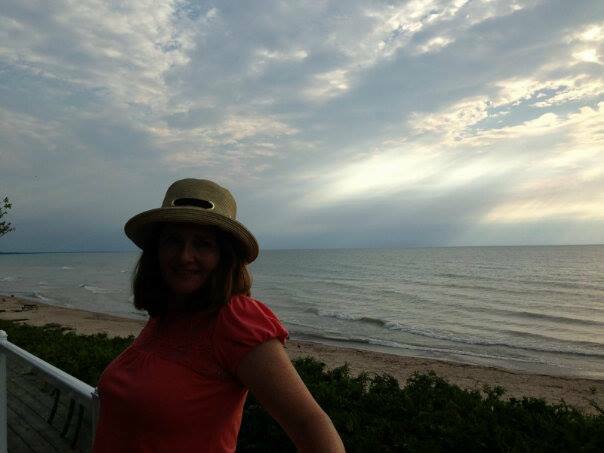 Last week, my son and I escaped to a rental cottage on the shores of Lake Huron. I think I must be a beach bum at heart, because sun, sand, and time spent with friends who came up to visit felt like my first real vacation in ages. So – what did I learn from my time off? Clients (old and new) are willing to work around your vacation plans. I still love traveling as much as I did in my 20s, and it’s something I want to do more of. I can more-or-less navigate the NYC subway system. Beach time is good for my soul. Today I’m back at the keyboard with several projects on-the-go. I am not sure what adventure August will bring, but I feel refreshed and ready to embrace the second half of 2018. The summer months can be challenging when you’re a freelancer who works from a home office and the mom of a busy 10-year-old. Throw in home renovations, a steady stream of house guests and a dead laptop, and the regular summer juggling act gets thrown into high gear. Our 120-lb “lap dog” is also part of the juggling act! So I’m trying to forgive myself for being less productive than usual over the past two months. That’s not to say that my keyboard has sat completely idle. Between overseeing new carpets, windows, and painting, chauffeuring my son to soccer and a few weeks of goalie camp, supervising various Pokémon Go outings, and showing visiting family and friends around our beautiful corner of the world, I somehow managed to string together a few words. Website copy, blogs, a victim impact statement, and a handful of magazine articles have kept me busy. But they’ve all been written in short bursts, at some extremely odd hours of the day and night. I did manage to churn out a few stories this summer….including my regular music column for Eat Drink . On the one hand, I recognize how lucky I am to have the freedom to work when I like. On the other, it can make for some extremely long days. So I am eagerly anticipating the first day of school, when I hope to sit down at a clean desk, in my freshly-painted home office, and do a full day of uninterrupted work on my speedy new laptop. I’m signed up for a September conference for women entrepreneurs, I’ll be participating in a sold-out evening of fashion in support of Make-A-Wish, and I have a list of story ideas ready to pitch, as well as a new Spilled Ink website – launching soon. In the meantime, I’m going to spend as much time as I can savoring the last few weeks of summer. If you need me, I’ll be at the lake, refueling for a busy and productive fall. How was your summer? And how are you getting ready for fall? 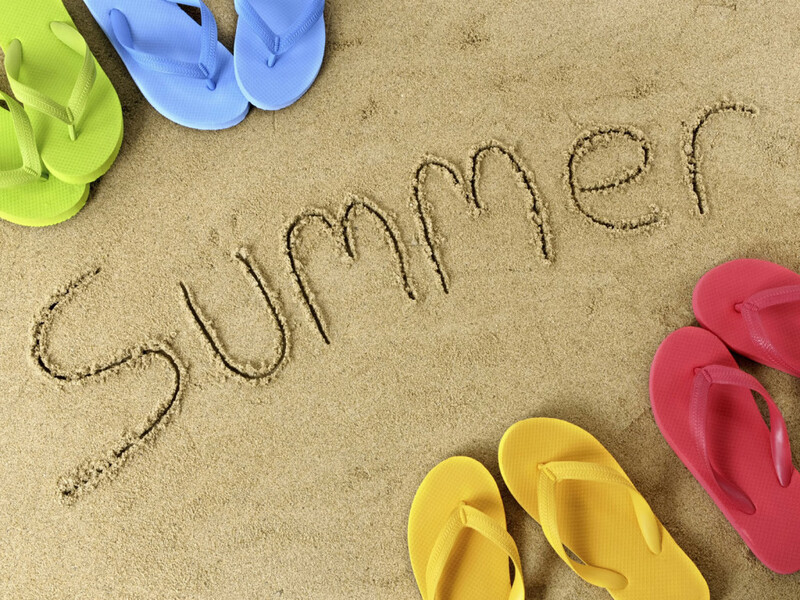 Now that summer has officially arrived, the media is full of articles offering advice on how small business owners can make the most of the summer slowdown. The summer slowdown is here! Turn off the computer, close the office door, and give yourself permission to play hooky from work and have some fun. And that’s exactly what I plan to do over the next 8 weeks! A wonderfully-busy work schedule, a tenacious winter cold, and some family health crises (thankfully resolved) have left me feeling tired and emotionally drained. So I’ve decided to give myself the same kind of complete summer break enjoyed by people with ‘real’ jobs. Of course, I do plan to catch up with colleagues over lunch, and I do have two feature stories and two websites to write before Labour Day weekend rolls around. But I won’t be spending the short summer months actively looking for my next gig. I hope to spend plenty of time doing ‘nothing’ this summer! It’s a scary thought for a freelancer used to living with one eye on the current project and the other on the lookout for the next. What are your thoughts on taking a self-imposed vacation?